We take reasonable precautions to prevent unauthorized access to your information. Accordingly, we may require you to provide additional forms of identity should you wish to obtain information about your account details. Wildwood Antique Malls may also use the information you provide to email Wildwood Antique Mall’s monthly newsletter to the primary contact e-mail on file, or to contact you about other products or services that we think may be of interest. Customer Surveys. We may use the contact and other information provided to follow up with customers who respond to our customer surveys to help resolve issues internally or with our third party partners. For example, Wildwood Antique Malls may contact customers based on their survey answers or to highlight certain changes we made in response to customer feedback. We may also disclose aggregate, anonymous data based on information collected from users to potential partners, reputable third parties and other companies or brands within our corporate family. We will only share your information with third parties that agree to maintain your information in confidence and to use it solely for purposes of providing the product or service as agreed to by Wildwood Antique Malls. Customer Surveys. We may share customer information obtained from customer surveys within Wildwood Antique Malls and our corporate family, and with trusted third parties to develop or provide products and services that we believe would be of interest to our customers. Legal Reasons. We may access, preserve and share information about customers with companies, organizations, governmental entities or individuals outside of Wildwood Antique Malls if we believe, in good faith, that the law requires us to do so. This may include, but is not limited to, responding to subpoenas, court orders or other legal processes (such as law enforcement requests). We may also access, preserve and share information about customers as necessary to: (i) establish or exercise Wildwood Antique Mall’s legal rights or defend against any legal claim including threatened claims involving Wildwood Antique Malls based on the anonymity of a domain name; (ii) investigate, prevent, or take action regarding suspected fraud or other illegal activities; (iii) prevent death or serious physical harm to any person; or (iv) investigate violations of Wildwood Antique Mall’s Terms of Service. Opt Out. By default, customers will receive invoices, any system updates, Wildwood Antique Malls newsletters and other mailings. Customers are able to opt out of newsletters and mailings by using the unsubscribe link in any promotional email or as otherwise provided in the communication. Please note that customers may not opt out of receiving important system notifications or emails about their accounts. Public Forums. Please remember that any information you may disclose or post on public areas of our websites or the Internet, becomes public information. You should exercise caution when deciding to disclose personal information in these public areas. To request removal of your personal information from our community forums or testimonials, contact us at info@wildwoodantiquemalls.com. In some cases, we may not be able to remove your personal information, in which case we will let you know why we are unable to do so. Wildwood Antique Malls uses technical security measures to prevent the loss, misuse, alternation or unauthorized disclosure of information under our control. Wildwood Antique Malls uses security measures including and not limited to: physical, electronic and managerial procedures to safeguard and secure the information we collect online. All sensitive information is collected on a secure server. 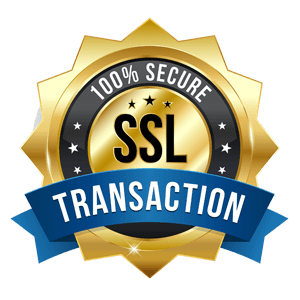 When we ask customers or users to provide financial information (such as a credit card number) that data is protected using Secure Sockets Layer (“SSL”) technology. Wildwood Antique Malls will endeavor to resolve any concerns.